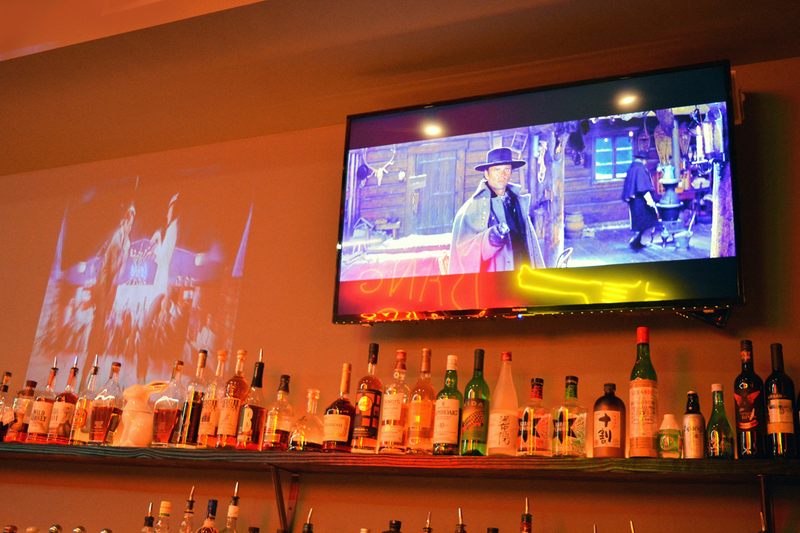 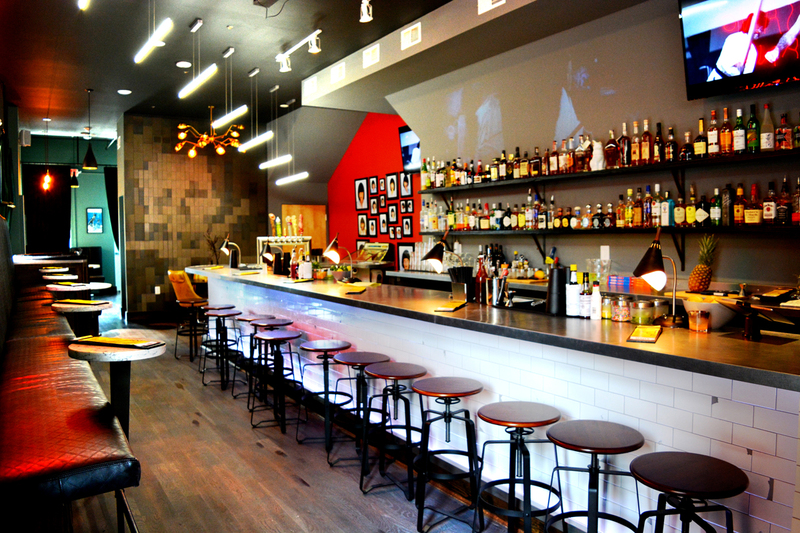 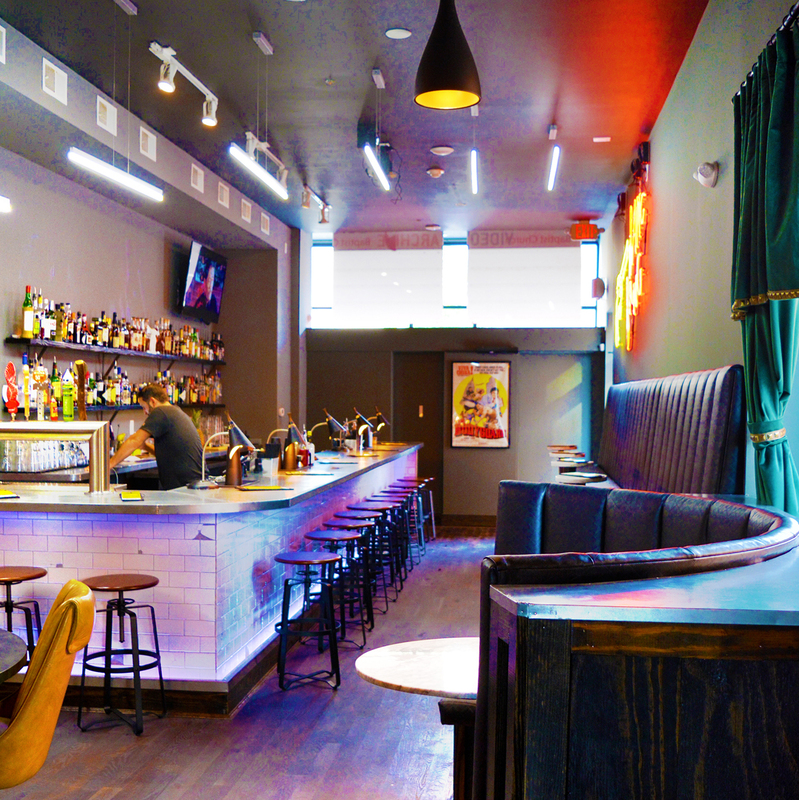 A playful speakeasy inspired by the films of Quentin Tarantino. 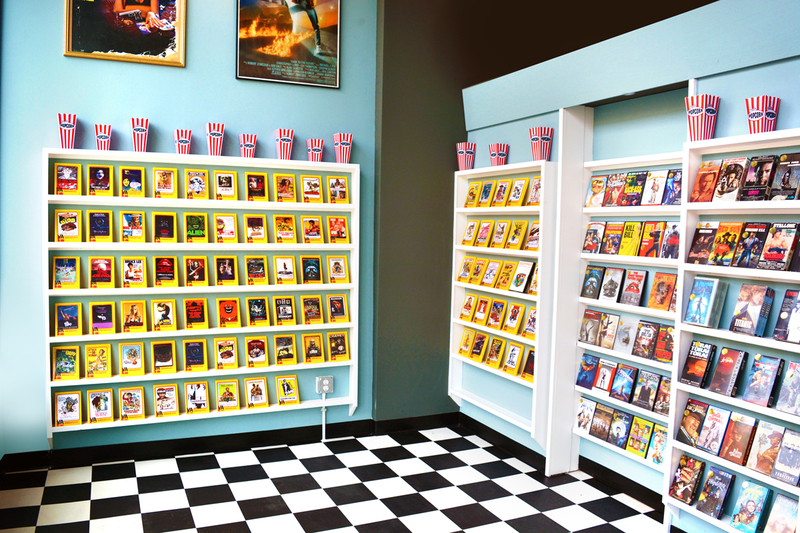 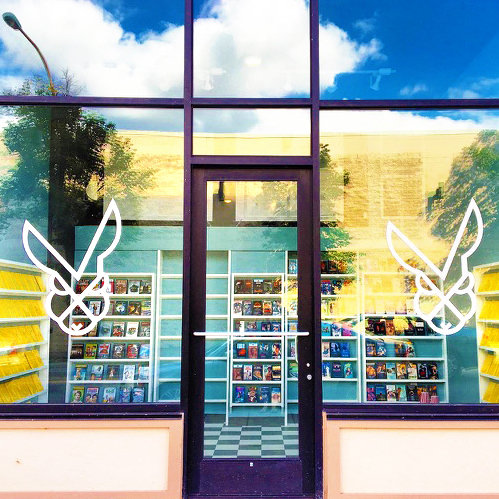 Covered by a functioning 90s era video store- clerks direct guests to activate a moving bookshelf door that opens to reveal the upscale dive bar hidden behind it. 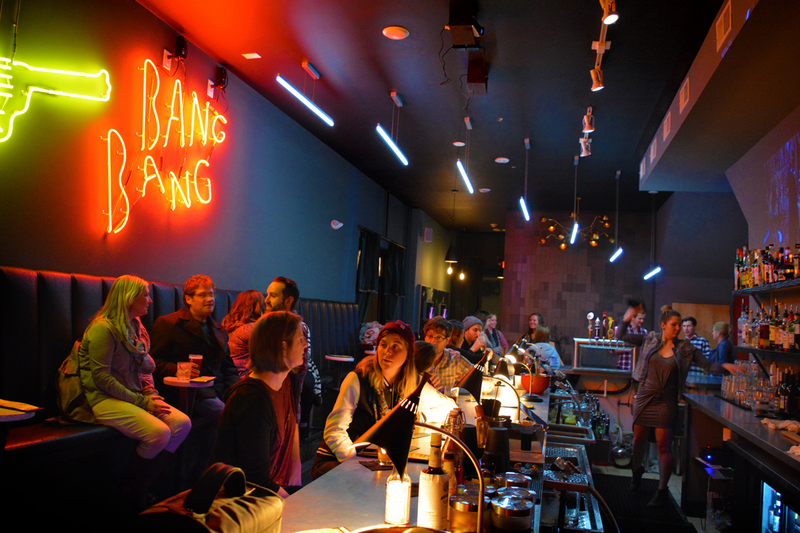 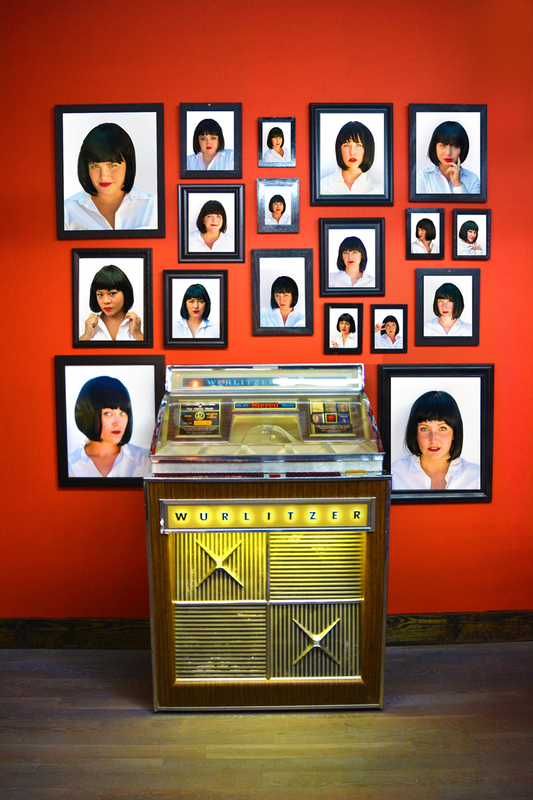 The space features custom neon, shattered glass mirrors and a “Mia Wallace” art installation that crowns the vintage jukebox.